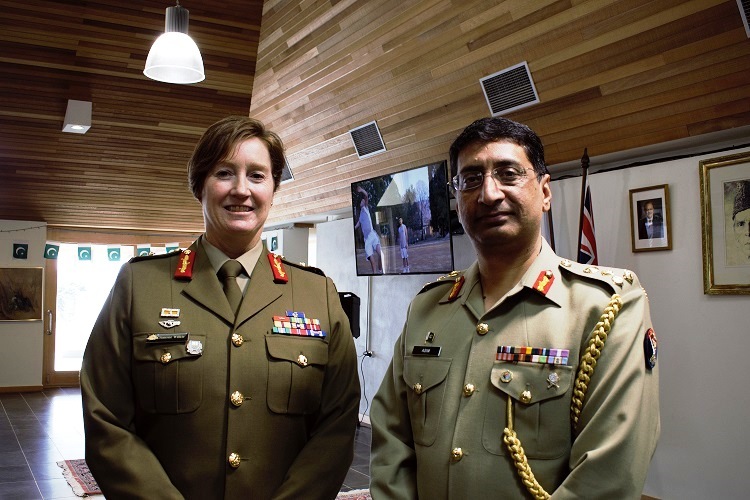 The Defence Day of Pakistan was celebrated in Australia with traditional zeal and national fervour on Wednesday. Pakistanis Celebrated Defence Day to mark the 52nd anniversary of the 1965 war with traditional fervour and renewed pledge to defend the motherland against all threats. 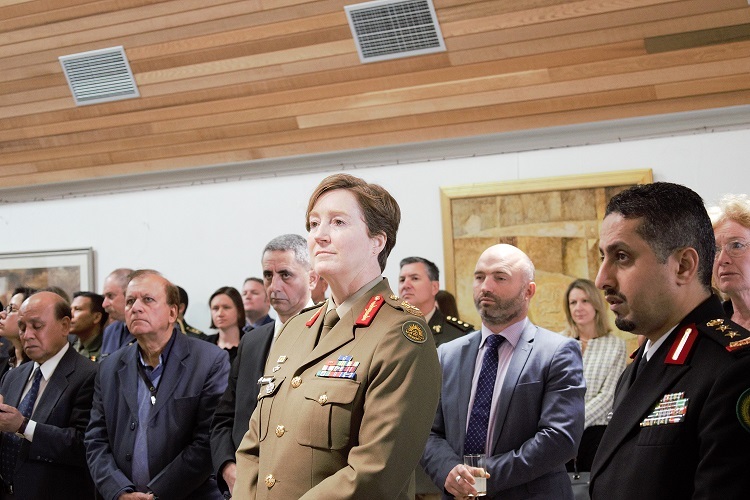 The Pakistan High Commission, Canberra Australia organized the Defence Day Reception at its premises on 6 September 2017. 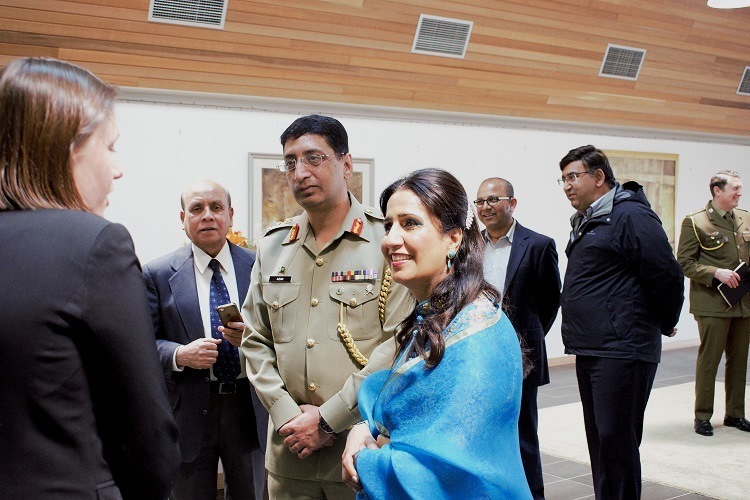 The reception was attended by a large number of Diplomats, Defence Attachés, representatives of the Department of Foreign Affairs & Trade, Pakistani community, media representatives and think tanks notables. H.E. 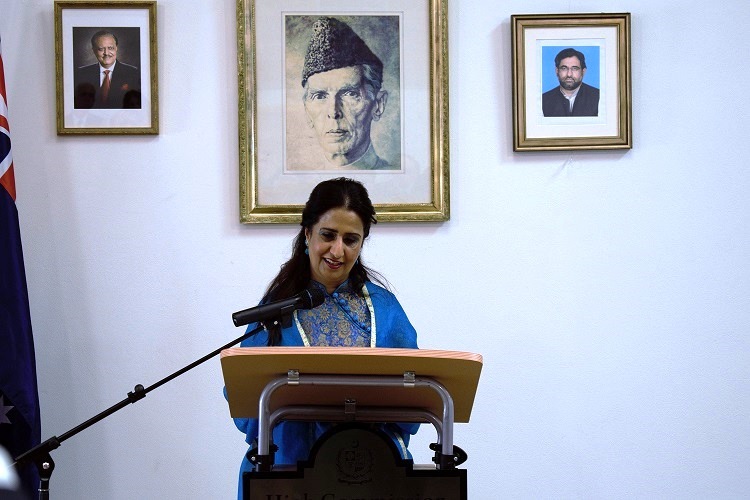 Naela Chohan, Pakistan High Commissioner to Australia, in her address on the occasion, highlighted the significance of the day and paid rich tribute to the Defence Forces for safeguarding the sovereignty of Pakistan. 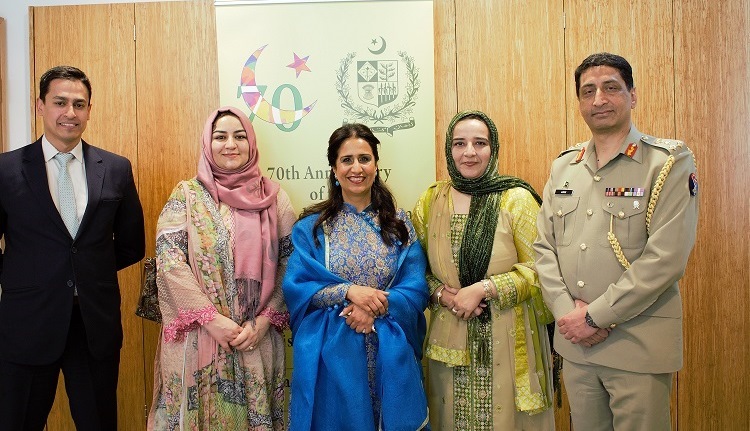 Giving an overview of the security challenges faced by Pakistan, the High Commissioner said that the 1965 war was a testament of our unflinching national resolve to protect our motherland against foreign aggression. Our armed forces demonstrated unparalleled valour and fought with unmatched resolve, patriotism and the love for martyrdom. 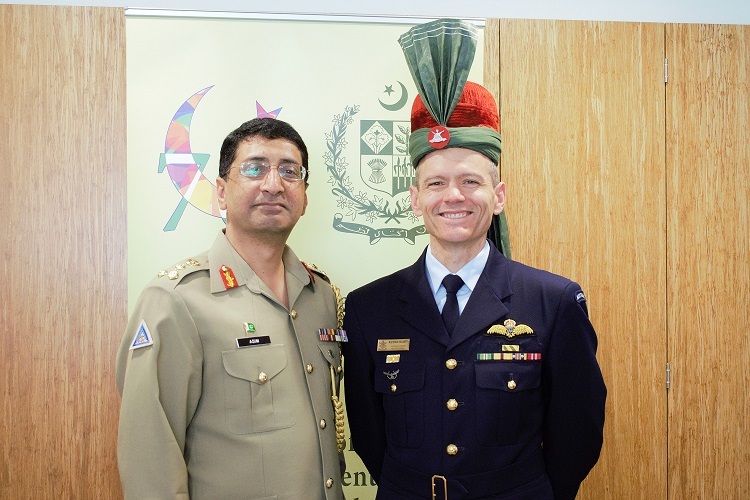 The High Commissioner said that Pakistan was a peace-loving country. Our security calculus was therefore based on defence doctrines. 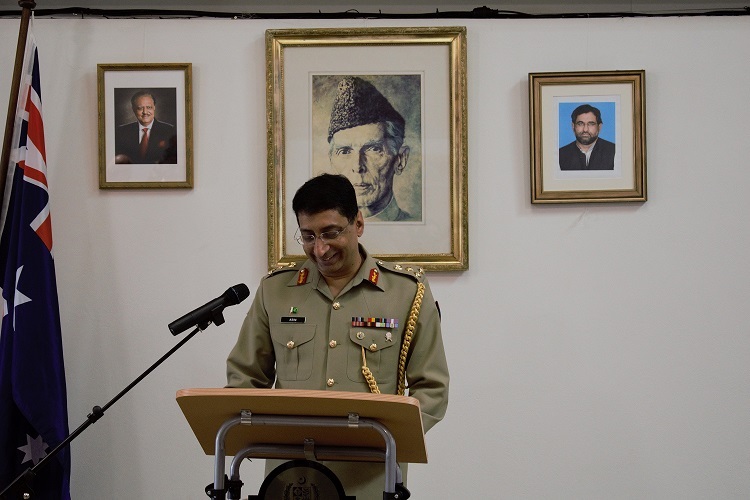 The High Commissioner further said, we do not have aggressive designs against any country but we, as a nation, are determined to protect every inch of our country; every Pakistani is ready to render any sacrifice in this regard. Pakistan has always remained a security challenged state since its inception in 1947. Our internal political evolution and foreign alignments have been greatly influenced by our enduring quest for security. 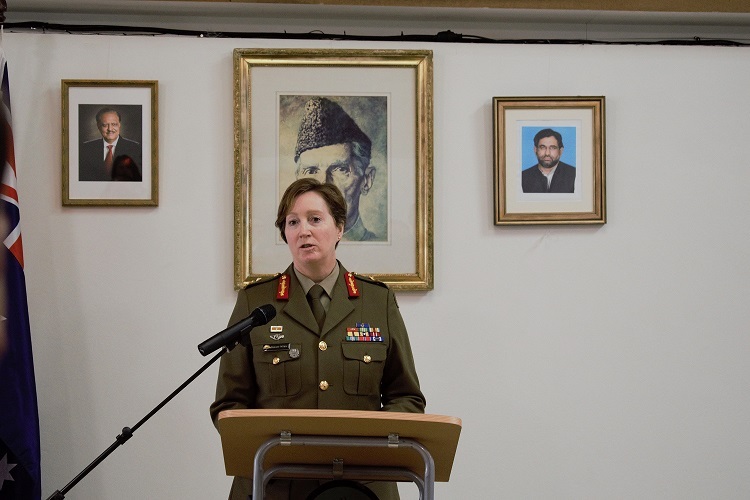 Speaking about the ongoing fight against terrorism and extremism, the High Commissioner termed operation “Zarb-e-Azb” and “Rad-ul-Fasad” successful, despite a heavy toll it took in shape of men and material. She added that the nation stands shoulder to shoulder with our armed forces in their commendable efforts to defend the country from any aggression and to rid our society from terrorists whose nefarious designs are to spread hate and destruction in the country and beyond. Speaking on the occasion, Defence Adviser Brigadier Muhammad Asim Khan said that the unprecedented national unity demonstrated by the people and Armed Forces of Pakistan on 6 September 1965 had made it a unique and memorable day in our history. He said the nation is united again to defeat the menace of terrorism, it has largely been eradicated; we have entered final phase to defeat terrorism through Operation Radd ul Fassad. The Brigadier further added that we have ready and arrayed Armed Forces, who are well trained, well equipped and highly motivated to defend the motherland against any external aggression. A presentation was also made to the guests on Pakistan’s ongoing combat efforts for peace and stability not only inside Pakistan but at regional and extra regional level. 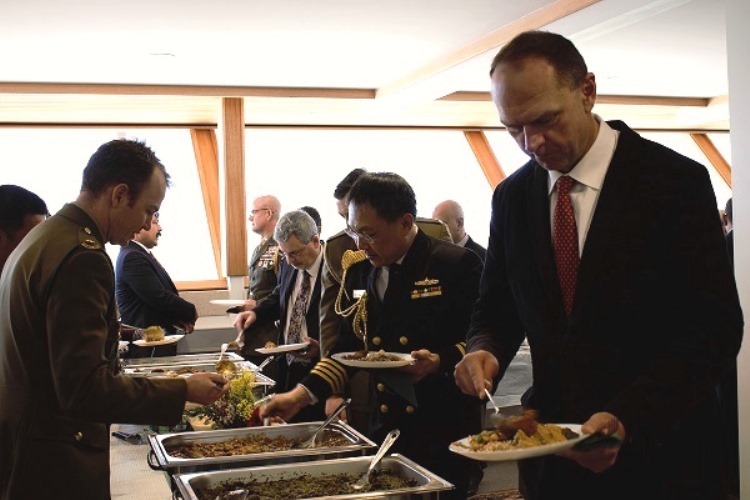 The guests were served with traditional Pakistani cuisine. Special prayers were offered for martyrs and progress & prosperity of the Pakistan. September 6 is a memorable day in our national calendar when the people of Pakistan demonstrated unprecedented national unity and stood by the valiant armed forces to thwart a serious aggression by the enemy. The commemoration of this historic Day revives our spirits and strengthens the resolve to defend the country against all sorts of threats. We pay homage to all those sons and daughters of the soil who laid down their lives and endured the vagaries of war in defending the motherland. It is because of their supreme sacrifices and unshakeable determination that we live in safety and dignity. The need to imbibe the spirit of September 6 is even greater as the country is confronted with the challenges of extremism and terrorism. The militants and extremists through their subversive activities have challenged the state in a bid to impose their obscurantist agenda on the people of Pakistan. 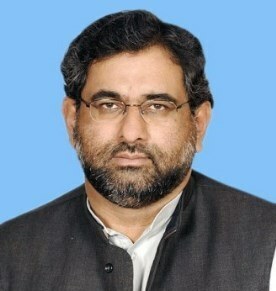 The Government of Pakistan in unanimity with all the stakeholders and with complete backing from the entire political spectrum and the people has launched National Action Plan under which the armed forces, personnel of police and law enforcement agencies are successfully rooting out the menace of terrorism and extremism from the country. Operation Raddul Fasaad, an extension of operation Zarb-e-Azb, is progressing successfully in different parts of the country and will continue till the last terrorist is eliminated. No nation in the world has paid such a heavy price in terms of property and precious lives as the people of Pakistan in the fight against terrorism. I once again salute the heroes who rendered sacrifices to protect the dear homeland and the armed forces for making its defense impregnable. Let us revive the spirit of unity of September 6 in meeting the new challenges. Let us pledge, in accordance with the vision of our beloved Quaid-e-Azam, that we will make Pakistan one of the greatest nations of the world. The 6th of September 1965 is a day in our history that can never be forgotten. It was a day when the Pakistani nation not only defended the motherland, but also gave a clear and unambiguous message to the world that Pakistan is fully capable of defeating all aggression, no matter how stark, no matter how cowardly. Defence Day reminds us of those historic moments when the enemy attacked us in the darkness of the night to capture Lahore. The whole world saw that the valiant soldiers of Pakistan’s Armed Forces repulsed the enemy with unsurpassed valour. Our soldiers proved with their supreme sacrifice that nations win wars not with armory, but with faith and courage. By the grace of Almighty Allah, today’s Pakistan is much stronger, and its defence is impregnable. Today, we are a nuclear power and our military is even more vigilant and better equipped. The entire nation is inspired by patriotism; and our new generation is more enthused than ever. The Citizens stand shoulder to shoulder with the Armed Forces. Our enemies know that Pakistan’s defence is unassailable; any misadventure would certainly result in their humiliating defeat. This is a day for us to demonstrate the national solidarity of 1965. We can only defeat our enemies through strict adherence to the cardinal principles of unity, faith and discipline as laid down by the Father of the Nation. We cannot be divided in the name of religion, cast or creed. With the help of Almighty Allah, Pakistan is on the path of accelerated development and we are being viewed as an emerging economy by the global Economic community. Pakistan’s military has been victorious in the war against terror and has proved its professional excellence. Operations Zarb-e-Azab, Radd-ul-Fassad and Khyber-4 have broken the backbone of terrorists. 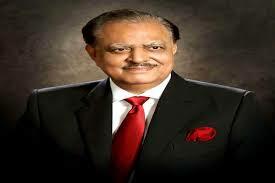 It is essential that we maintain unity and reaffirm our resolve to work for a peaceful and prosperous Pakistan. On this occasion, I would also like to pay tribute to the great sacrifices of the unarmed innocent people of Indian Occupied Kashmir who have been fighting for their right to self-determination. Our position on Kashmir is very clear. This issue can only be resolved through United Nations’ Resolutions and according to the aspirations of the Kashmiri people. Use of force and violence cannot suppress the voice of the Kashmiris, who are struggling for their inalienable right to self-determination. Pakistan will continue to provide moral, political and diplomatic support to the people of Indian Occupied Jammu & Kashmir for their legitimate right at every forum. Lt us pay tribute to the great sacrifices of our soldiers and martyrs, and all those who fought for the defence of Pakistan; and let us reaffirm our resolve to protect and preserve the sovereignty and territorial integrity of our motherland at all costs.